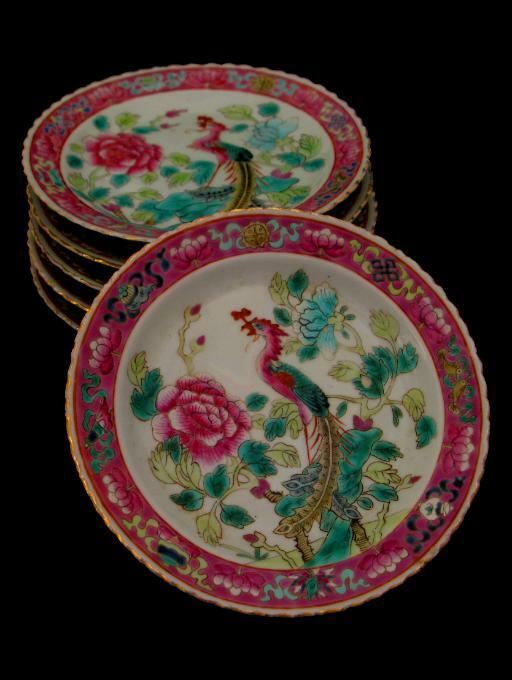 Each of these five plates is finely enamelled with a phoenix perched on ornamental rockwork beside pink and blue peonies, framed by a pink-ground border of lotus and Buddhistic emblems and a scalloped, gilded rim. The reverse of each is decorated with detached floral sprigs. 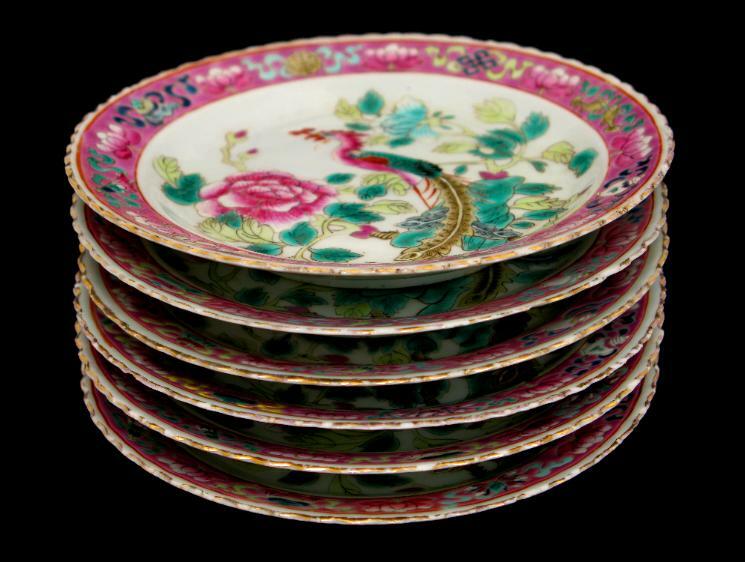 Each plate is identical in form and size but the decorations differ slightly suggesting that they all belong to one set but various artisans were responsible for different parts of the decoration. 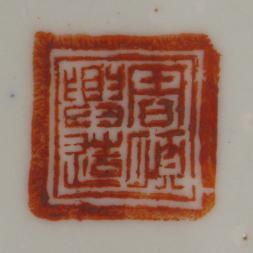 Each has a ‘Chou Shun Hsing’ shop mark to the base. Overall condition is excellent with relatively little loss to the gilded scalloped edges although three plates have faint hairlines.